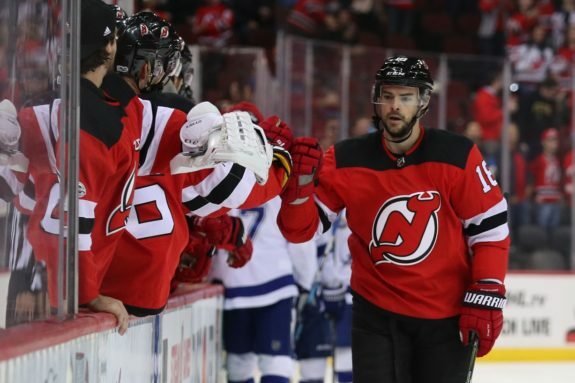 Drew Stafford’s value to the New Jersey Devils can’t be found in a box score. It won’t show up in the pregame notes and you won’t see it in any advanced stat breakdown. The value of having Stafford, a 33-year-old veteran presence who has an NCAA title, and a World Juniors gold medal on his resume next to the 841 NHL games that he’s played in is immeasurable. On a roster that the average age is 25, Stafford is one of only four players that is over the age of 30. One player that has really benefited from having Stafford around the past two years has been Pavel Zacha, who just turned 22-years-old on April 6. Whenever the two have been paired together on a line Zacha seems to find his name on the scoresheet a lot more often and even if he doesn’t, he’s noticeable on the ice. “Playing with a guy like Pavel Zacha in the middle, I think we have great chemistry. It’s all about trying to finish with a little bit of pride and a little bit of character,” said the veteran winger. Stafford didn’t expect to play much this season. He expected to be a guy who can plug in for a few games at times during the season when injuries mounted or young players needed a breather. But things don’t always go as planned. New Jersey was decimated by injuries from November on. They felt so far out of any playoff race that veterans started being traded for future assets. But Stafford took everything in stride and was happy to be able to contribute to the team in any way they needed. “Coming into camp I was (just) trying to earn a job, earn a spot, and they had faith in me coming back – in what I could bring on and off the ice. Unfortunately, the way things went (early) I wasn’t playing a lot but I was still trying to contribute in other ways. We had a lot of injuries, a lot of lineup changes and I got to go in and play more. I just try to contribute the best I can on the ice too,” Stafford said of his role coming into the season. That would seem to be exactly what coach Hynes and his staff want again, having Stafford as a mentor/de facto coach/13th or 14th forward. “He’s a high, high, high character leader. Things haven’t gone the way that we wanted them to this year but you’re looking at a – people sometimes wonder why you sign guys and over the course of a year why sometimes you want to play older players, veteran players on your team. This is a guy who is a great leader for our young guys and when adversity hits you need people in your room that have been through it, people that are on the same page, high character guys,” said Hynes. 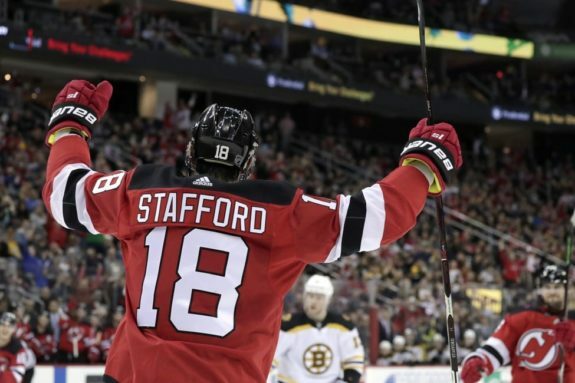 This season Stafford appeared in 57 games (7th most among forwards) after only playing five in the first two months and he chipped in 13 points (5g-8a). 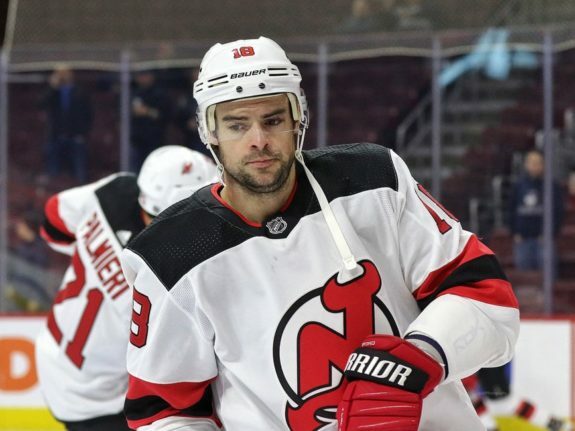 The Devils would probably like to shrink that games played number down a bit, but we fully expect that Stafford will be back in New Jersey on another one-year deal for under a million dollars.